Return and Exchange Policy for Trademark Hardware. 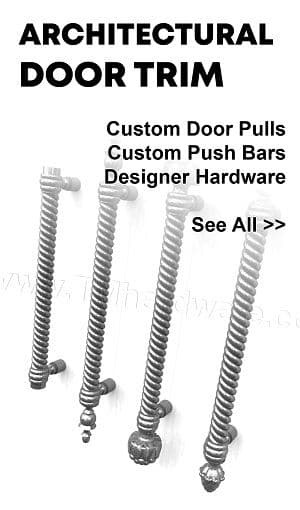 At Trademark Hardware we pride ourselves in supplying you with the highest quality, most up-to-date door hardware. We stand behind our products and will work with you to ensure you are satisfied with your order. If the need to return a product arises our staff will be glad to assist you. 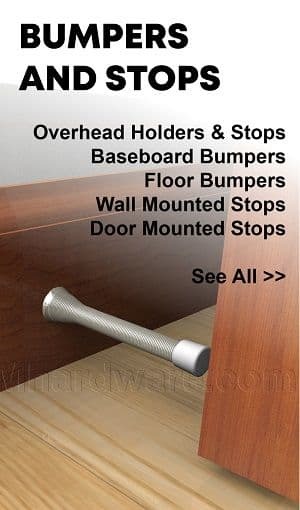 Please contact us at orders@tmhardware.com or call us at 845-388-1300 for assistance. Below is a general return policy. Before completing your purchase, please review the return and exchange on each product page as different policies apply to various products, categories and / or manufacturers. Refunds for returns are applied to the payment method used at the time of purchase. Once we receive and inspect the product we will credit your account. Please allow 5-7 days from when the return is received for a credit to appear on your account. Return shipping is customer's responsibility. A return address will be provided with RMA#. Return shipping for defective products will be paid for by Trademark Hardware, Inc. in form of either a pre-paid shipping label or by issuing a call tag. NO RETURNS WILL BE ACCEPTED AND/OR REFUNDED WITHOUT PRIOR AUTHORIZATION AND A CLEARLY MARKED RMA # INCLUDED. Certain QuickShip products can be returned without a restocking fee. Please reveiw Shipping Information on the specific product page for more details. 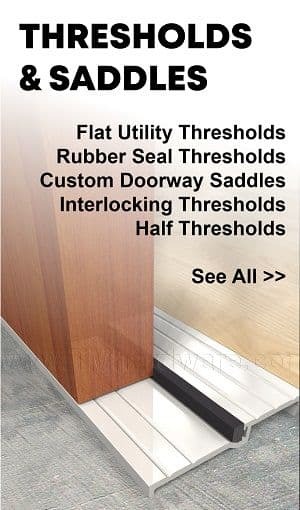 (Door Bottoms / Sweeps, Door Gaskets, Meeting Stiles), Thresholds and Ramps, Stair Nosing (Products with SKU begining with Z or P): As nearly all the products under these categories are custom cut to your size they are NOT RETURNABLE. There may be specific sizes that we can recut or restock. Please contact us and we will do our best to accommodate you. A minimum restocking fee of 25% will apply. No returns will be allowed past 60 days. (Products with SKU begining with H): Products that are stocked can be returned up to 6 months from date of purchase, a minimum 25% restocking fee will be applied. Returns only accepted if product is in brand new, resalable condition. Material that is not standard stock is not returnable. (Products with SKU begining with M): Stock items can be returned in new, resaleable condition, a minimum 25% restocking fee will be applied. Material that is not standard stock is not returnable. (Products with SKU begining with D): Goods can be returned up to 30 days from date of purchase, a minimum 20% restocking fee will be applied. Product must be in brand new, resalable condition. (Products with SKU begining with R): All stock items included in the Rockwood QuickShip Program can be returned up to 6 months from date of purchase, a minimum 25% restocking fee will be applied. Returns only accepted if product is in brand new resalable condition. All other products are made to order and cannot be returned. (Products with SKU begining with X): Most products are custom made and are not returnable. (Products with SKU begining with C): Items that are stocked can be returned with a minimum 50% restocking fee applied. Non-stock items cannot be returned. Zero International (Products with SKU begining with Z): One year against defects in material or workmanship. Defective material will be replaced, however, no back charges for damage incurred or work done thereon will be allowed. 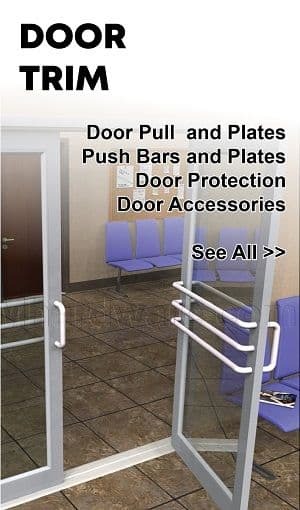 Pemko Manufacturer Door Hardware (Products with SKU begining with P): General products have a guarantee of 5 years against defects in material or workmanship. Specific products and options (such as PemKote™ Surface Coating, Polyurethane Foam Tapes, and PemkoHinges™) may have a longer or shorter guarantee. Guarantee will be noted in product description. 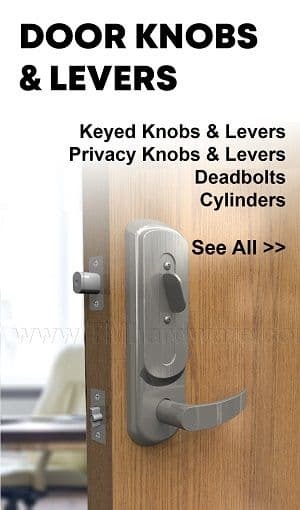 Hager Door Hardware (Products with SKU begining with H): All 3 and 5 Knuckle Hinges (Excluding hinges from the ECCO line) have a LIFETIME GUARANTEE! 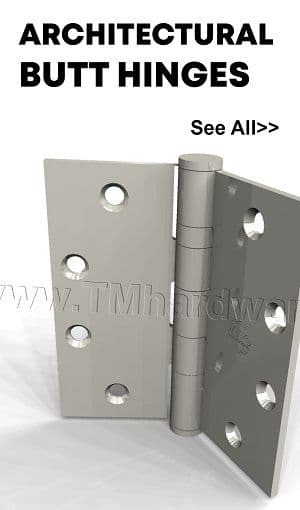 2 Knuckle Hinges, Hinges with Electric Modification and ECCO Hinges have a 1 year guarantee. 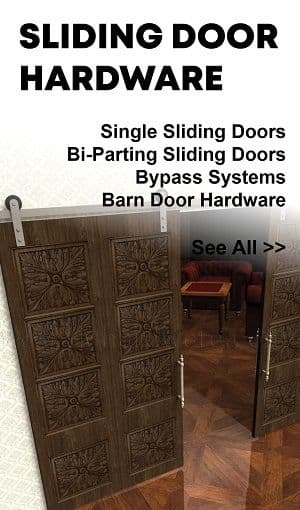 All Sliding Door Hardware have a 1 year guarantee. Series 5100, 5200, 5300 Grade 1 Overhead Door Closers have a LIFETIME GUARANTEE! Series 5400 Grade 2 Overhead Door Closers have a 5 year guarantee. Locks Series 3100, 3200, 3400, 3500, 3700, 3800 are all backed by a LIFETIME GUARANTEE! Series 3600 has a 5 year guarantee. Series 2500 has a 1 year guarantee. Roton Continuous Hinges are backed by a LIFETIME GUARANTEE! Additional Electric Modification has a 1 year warranty. Note, any changes made to the hinge on the field may void the warranty. Markar Door Hardware (Products with SKU begining with M): Most products carry a warranty of 10 years for defects in material and workmanship. Hinges with medical bearings carry a warranty of 25 years. Electrical Modifications carry a warranty of 5 years. 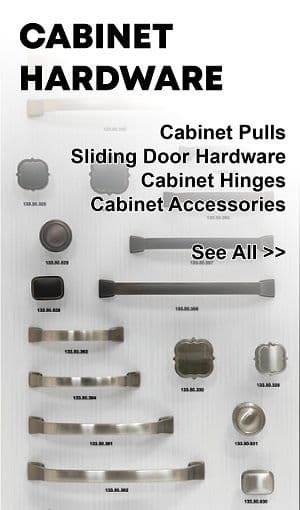 Deltana Architectural Hardware (Products with SKU begining with D): All General Products have a 1 year guarantee on defects in manufacturing along with proof of purchase. Stainless Steel and PVD Finishes have a 1 year guarantee not to tarnish, flake, peel, discolor or corrode within normal environmental conditions such as dry environments and air conditioned interiors. 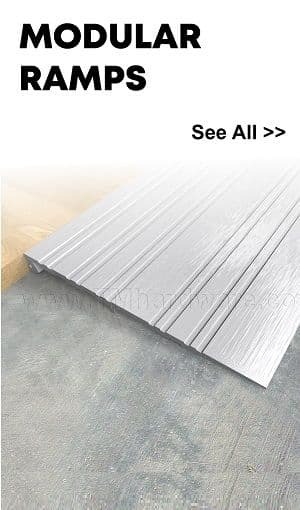 In high moisture and/or salty environments, these finished require maintenance by wiping with a clean, damp cloth periodically to remove build-up and sediments from the environment. Neglect of Deltana's recommended maintenance voids the product warranty. Rockwood Architectural Trim (Products with SKU begining with R): 1 year against defects in material or workmanship. Defective material will be replaced, however, no back charges for damage incurred or work done thereon will be allowed. 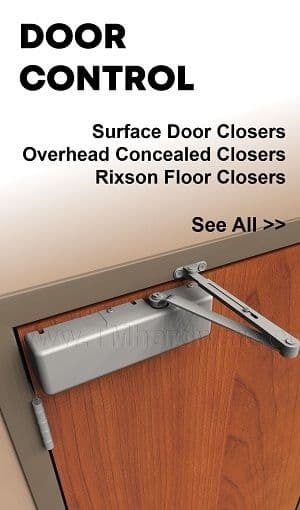 Rixson Floor and Overhead Closers (Products with SKU begining with X): Floor Closer Series 27/28/30/40 have a 10 year guarantee. All other Rixson products have a 2 year guarantee. 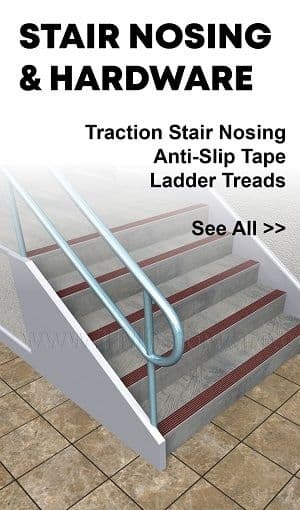 Products are guaranteed against all defects in workmanship and material. This warranty is void if any modification is made to the product regardless of whether the modification causes or contributes to the alleged defect. All modifications are made at the risk of the party making the modification. 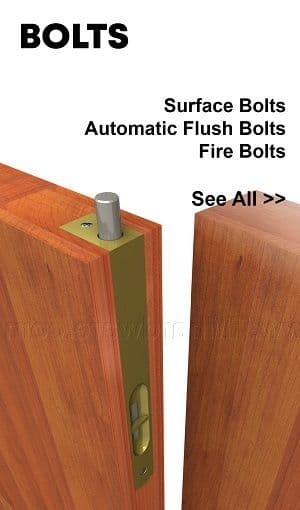 Glynn Johnson Door Hardware (Products with SKU beginning with a G): One year against defects in material or workmanship. Defective material will be replaced, however, no back charges for damage incurred or work done thereon will be allowed. This warranty is void if the product is misused, improperly installed/maintained, used in a manner that is not intended, or has been subject to improper environmental conditions. 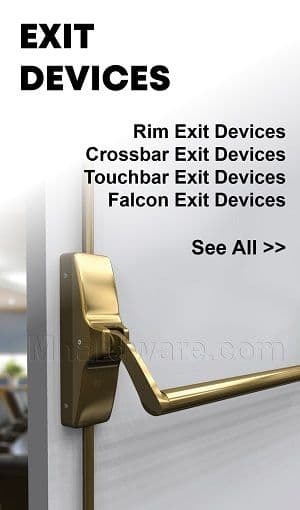 Falcon Door Hardware ( Products with SKU beginning with F): Ten years from the date of manufacture with the exception of the products detailed below. The provisions of this warranty do not apply to finishes. Product exceptions to warranty policy: FOHC100A Concealed Closers have a warranty of 5 years. F8200 Automatic Operator has a warranty of 2 years. Electronics/ Electrified Products have a warranty of 1 year. 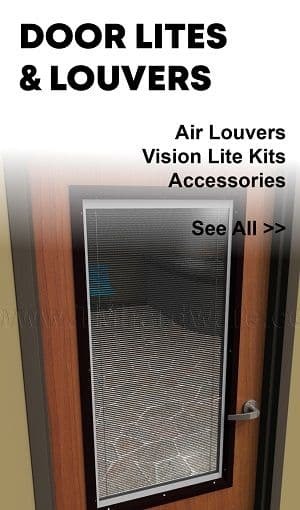 Activar Air Louvers: All products are warranted to be free of defects in material and workmanship for the period of 5 years from date of shipment. Hafele Architectural Products: Most products carry a 1 year warranty for defects in material and workmanship. The staff at Trademark Hardware will be glad to assist you if the need to return a product arises. 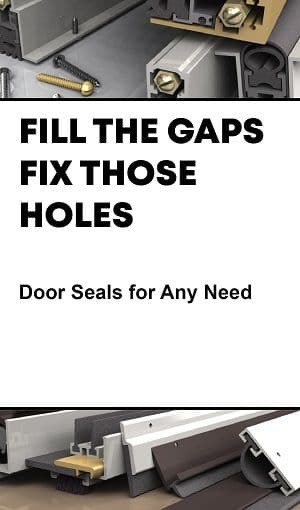 Contact us at sales@tmhardware.com or call us 845-388-1300 for assistance.